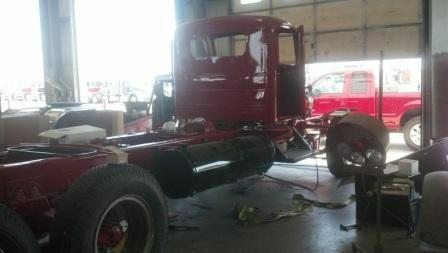 The Iowa 80 Trucking Museum is currently in the process of restoring a 1955 Mack LTL. 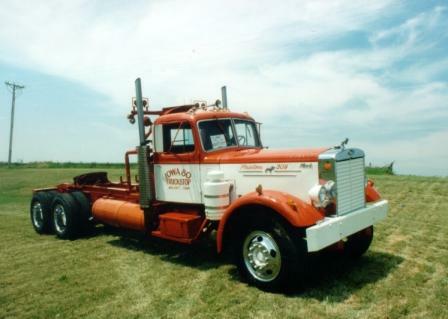 There were only 2,009 of these Mack LTL’s built from 1947 to 1956. 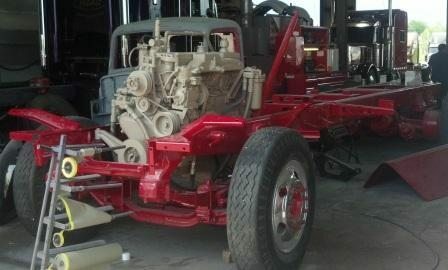 This Mack was built in 1955 for Downey Trucking in Downey, California. A 34” aluminum sleeper was added by the Los Angeles Mack branch, and later removed for the truck’s conversion to oil field use. When Iowa 80 acquired this truck, it was used on tough wrecker calls that required three wrecker trucks. 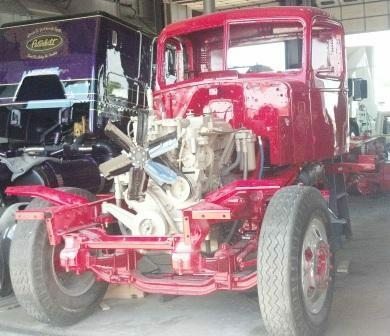 This truck has a 235 hp Cummins NT-6-B Engine and a 5-speed Mack TR720 and Brown-Lipe 8035 G Auxiliary 3-speed transmission, with a top speed of 60 MPH.